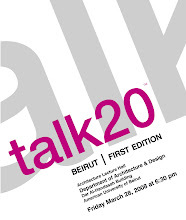 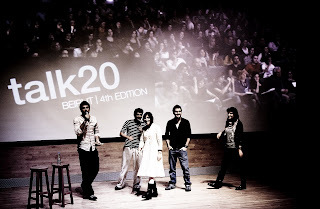 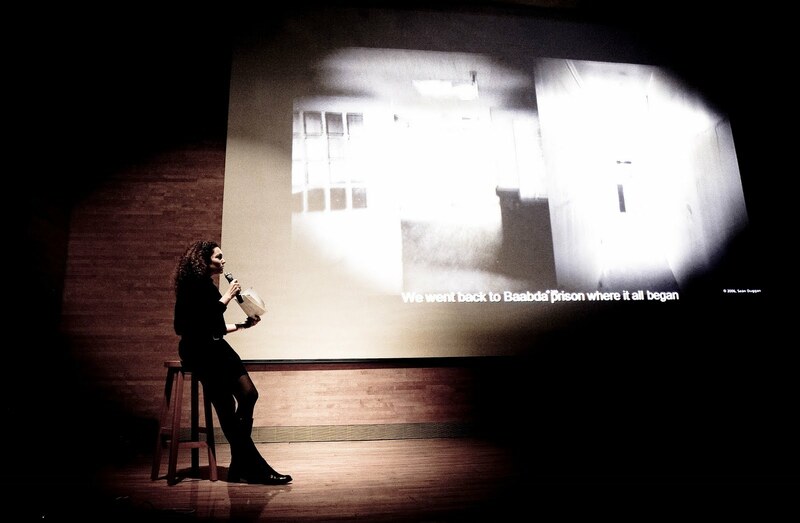 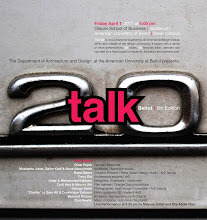 Talk20 this year took place at the Hostler Center auditorium at AUB on March 26, and featured a new line up of presenters, always combining between faculty and students from the Department of Architecture and Design, while bringing in fresh input from professionals in several creative disciplines. The event started with a live performance by Sharif Sehanoui, the experimental percussionist who is also the founder of Irtijal platform, followed by Youmna Saba, a musician and graphic design graduate from AUB. 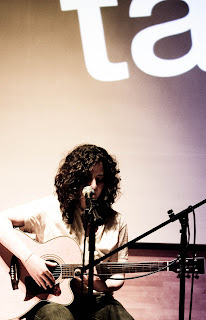 Both musicians also presented later during the event their work and current involvements. 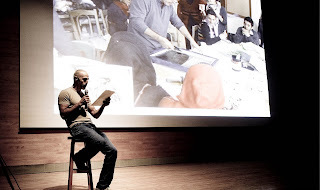 The presenters list also included architects Youssef Tohme and Karim Moussawer, graphic designer Tammam Yamout, illustration and animation studio Yelostudio and accessories designer Sarah Beydoun. 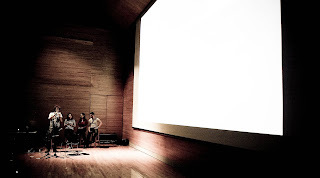 From the faculty members, Daniel Drennan presented his Jamaa Al Yad group, Pascal Hachem his art work and lighting installations and Shawki Youssef his drawings in a rendition of 20 organs. Student presentations were also an important addition to this edition's panel, and included a musical performance by Carl Gerges and Firas Abou Fakhr from the Mashrou3 Leila band, a report on a sustainable design workshop in India by Wassef Dabboucy, and a mapping research on infrastructure in Beirut presented by Architecture Vertical studio students Jad Melki, Rani Kamel, Siba Jaber, and Baraa Yakzan. 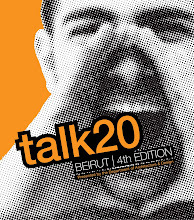 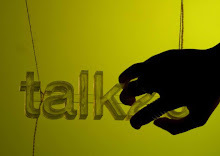 Talk20 was also featured this year in the following articles on the NOW Lebanon website and Al Mustaqbal newspaper.